Also stimulating the startup movement are entrepreneurially minded individuals, some of whom are leveraging knowledge and ideas they cultivated outside of their home countries. They returned home to build startups in a market that, despite some obvious growing pains, seems ripe for their pioneering spirit. As far back as 2012, Forbes published a feature on Brazil’s business prospects, noting that, at the time, about 25 percent of the country’s workforce was self-employed in some capacity—and further, that small businesses generated two-thirds of private-sector job creation. In fact, according to the 2016 GEM report, conducted by the Global Entrepreneurship Monitor, a surprising 59 percent of the entire Latin American population describe themselves as aspiring entrepreneurs. This new class of groundbreaking self-starters is adding distinct value to the country’s technology ecosystem. 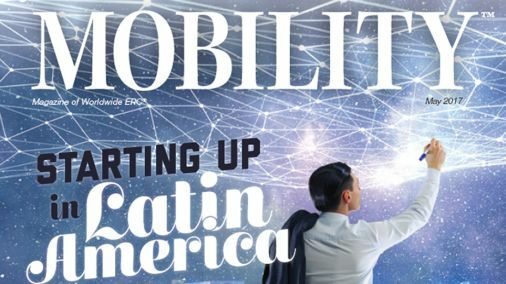 In a January 2017 Americas Quarterly article, “Startups From Brazil to Mexico Are Giving Banks a Run for Their Money,” co founder Andrés Fontao of the Mexico-based startup accelerator Finnovista estimated that currently more than 570 financial technology startups have been established across Latin America. They are able to offer customers the convenience and economies of such advantages as mobile savings accounts and app-based small-business loans. Latin American countries can take note of three common trends for startup support described by the OECD report “Startup Latin America 2016,” which presented an overview of policy objectives and specific instruments to sustain startups in Chile, Colombia, Mexico, and Peru. These countries are introducing reforms in the policy mix to combine financing schemes with support services, experimenting with new tools—such as co-working spaces and crowdfunding—and forging partnerships with large companies advancing the creation of a pro-startup mindset. The report also identified some of the countries’ big challenges: strengthening the evaluation of these policies, making advancements in setting up business-friendly regulatory frameworks, and increasing private investment in innovative businesses. Any new frontier for startups is a landscape for mobility professionals to monitor, because as these enterprises succeed and grow, they’ll need talent to maintain a forward trajectory. One of the most often noted challenges for startups in Latin America—as in many other regions in the world—is the lack of specialized talent. Diverse, skilled talent is an essential ingredient to entrepreneurship and innovation, and fortunately for the region, its population is both well-connected and rich in diversity. Nearshore Americas Research, which provides independent examination on information technology (IT) services and business process outsourcing trends in Latin America, says talent shortage is a major hindrance to growth in many markets. Where the demand for IT talent is outstripping the available workforce, rising costs include rapid wage gains in the information technology outsourcing (ITO) sector. Nearly half of survey respondents said the extreme talent shortage is preventing software development firms in Latin America from expanding into major global companies. Many of the startup locations are replete with gorgeous settings, remarkable culture, and vibrant lifestyle choices. As the more successful startups begin to expand, companies and countries will closely examine the elements that will make transfers and assignments at these startups significant career choices and more appealing to a younger, more cosmopolitan professional class. There are some challenges to startup growth that sit squarely in the lap of the countries and cities in need of the talent: composing legislative initiatives to attract investors and encourage new businesses that fuel the growth of ecosystems, both directly and indirectly; developing policy that enables startup growth; enhancing connectivity; fostering training and education; transforming the destination environment so that suitable housing is available; enhancing infrastructure; ensuring that lifestyle needs are addressed; improving security and the like. And while that is happening, it’s imperative for mobility service professionals to grow their partner networks and deepen their understanding of various cultures and employee needs in the startup areas most likely to experience skyrocketing growth, so that they’re poised to assist rapidly growing firms. A short list to expand business opportunities in these regions includes collaborating with in-region startups to understand their special workforce goals and needs; identifying specific expertise for immigration issues and work permits; connecting with household goods movers regarding local requirements and regulations; determining destination and settling-in services; and learning school and health care systems. Because sometimes, working with startups means that we’re starting up again, too! Nicole Black, GMS, is vice president, global comp and assignment services, for Cornerstone Relocation Group. She can be reached at +1 972 961 3928 or nblack@crgglobal.com.